For Frederick the Great, the prescription for warfare was simple: kurz und vives ("short and lively")—wars that relied upon swift, powerful, and decisive military operations. 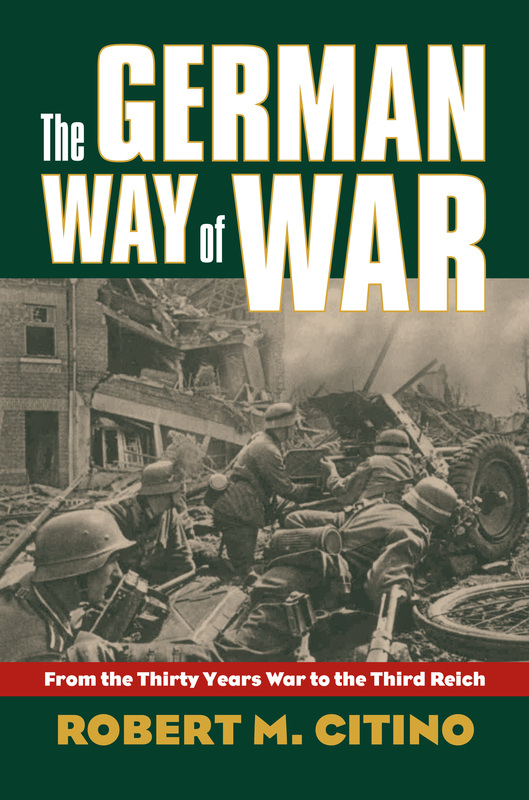 Robert Citino takes us on a dramatic march through Prussian and German military history to show how that primal theme played out time and time again. Through this long view, Citino reveals an essential recurrent pattern—characterized by rapid troop movements and surprise attacks, maneuvers to outflank the enemy, and a determination to annihilate the opposition—that made it possible for the Germans to fight armies often larger than their own. He highlights the aggressiveness of Prussian and German commanders—trained simply to find the enemy and keep attacking—and destroys the myth of Auftragstaktik ("flexible command"), replacing it with the independence of subordinate commanders. He also brings new interpretations to well-known operations, such as Moltke's 1866 campaign and the opening campaign in 1914, while introducing readers to less familiar but important battles like Langensalza and the Annaberg.